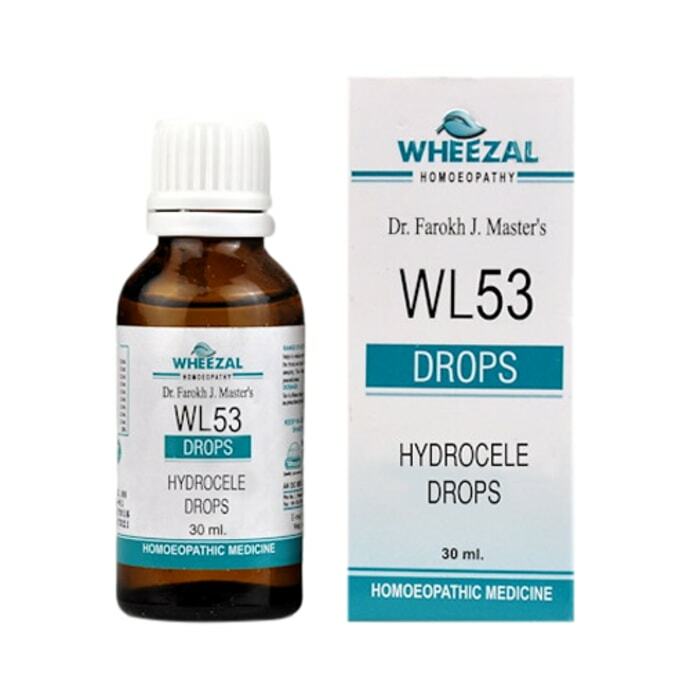 Wheezal WL53 Hydrocele Drop is a homeopathic treatment for Hydrocele – a painless build up of watery liquid formed around either side of the testicles that causes scrotum or the groin area to swell. They are not necessarily harmful or painful and is normally caused due to inflammation or infection of the testicles. 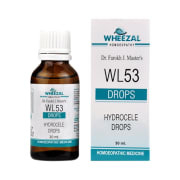 Take 10-15 drops of Wheezal WL53 Hydrocele drop in water four times a day before meals or as directed by the physician. A licensed pharmacy from your nearest location will deliver Wheezal WL53 Hydrocele Drop. Once the pharmacy accepts your order, the details of the pharmacy will be shared with you. Acceptance of your order is based on the validity of your prescription and the availability of this medicine.